Testimonials – Why you shouldn’t go anywhere else! I have been a client of Dep Skin for many years. The staff are always friendly and very accommodating to all my needs. 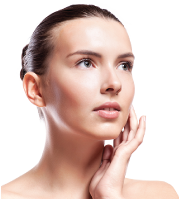 Their recommendations for treatments and skin care are very knowledgeable. I especially love the facials. The salon is always clean and the late hours are very convenient to make a last minute appointment. I have been a client if Depskin for over 10 years and highly recommend it to people of all ages! I absolutely love to come to depskin. This is my relax zone, I must admit that. I especially love the facials which are customised for every client and their needs. I always walk out feeling like I have been to heaven. All the staff are professional and put their heart and soul into looking after their clients. Christina at Depskin has been my electrolysis wonder woman. Her caring and friendly nature is always soothing as is the hugs i get from her. She is professional and knowledgable in her field and always explains everything in detail. I would highly recommend Christina. A huge Thank You to Depskin, you have done wonders. Your superb treatments in electrolysis have left me hair and mark free. I have known other people who have been marked by their treatments with electrolysis and I was concerned when first looking into it. However after my first consultation with the therapist and my on going treatments i was always rest assured that the way these girls do their job is the highest quality and safest. I had IPL done on my legs and glutes 4 years ago and am extremely satisfied with my results. After 8 sessions I am left almost completely hair free with only very fine hair growing on areas where friction occurs from clothing, around the waist and on my thighs where pockets sit from jeans and shorts.